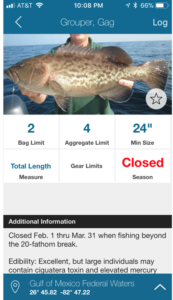 Federal fishing regulations at your fingertips! 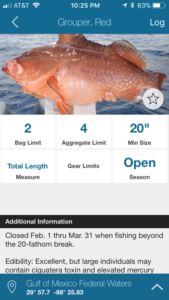 The Gulf of Mexico Fishery Management Council is transitioning to the free mobile app Fish Rules. Fish Rules provides quick access to state and federal fishing regulations from Maine to Texas. The Gulf Council is now hosting the federal regulations for the Gulf of Mexico on Fish Rules. To stay up-to-date with current regulations, begin using Fish Rules immediately. If you are currently using our old app, it will not be updated after December 31, 2018. 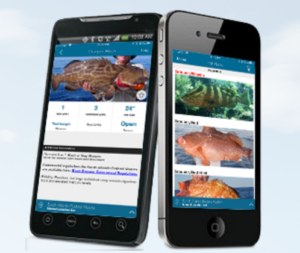 Download Fish Rules Mobile App today! Commercial regulations hosted in the “Additional Information” section for each species. Federal Commercial and Recreational fishing regulations can also be found on the Council’s website. For more information on the app visit the Fish Rules website. 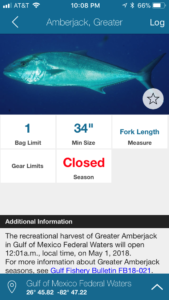 Contact Emily Muehlstein, Public Information Officer, at emily.muehlstein@gulfcouncil.org or 813-348-1630 with questions about the app or federal fishing regulations in the Gulf of Mexico.